We talk to Boston-based Parlor Custom Skis co-founder, Mark Wallace, about the origins story of Parlor; the very successful “Build Your Own Skis” class they offer; the new models in their 18/19 lineup — including Parlor snowboards and splitboards; and several trends on the East Coast ski scene. 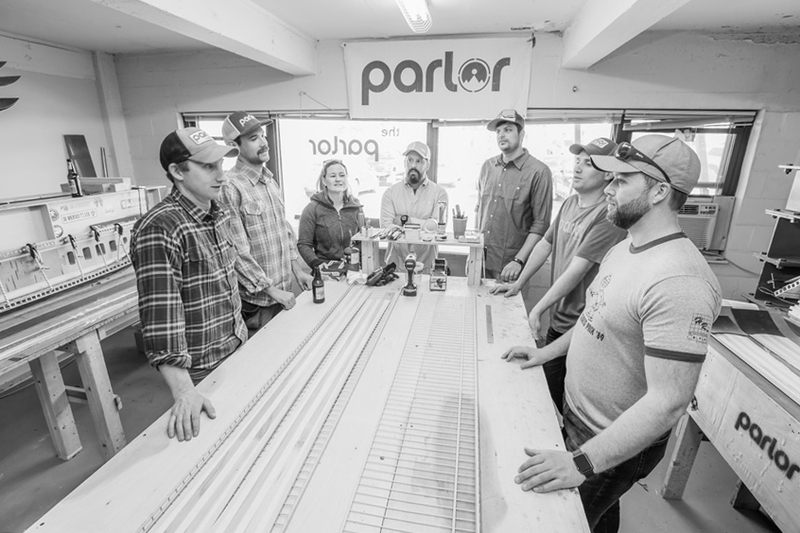 Mark Wallace (far left) at a Parlor ‘Build Your Own Skis’ class. And to hear Mark talk more about custom ski building, check out our Round Table on Custom Skis. Given where they’re at, it should be “Project Wahlberg”. As always, nice interview. Sign me up for a pair of the “dad skinners”. Well, yep, you definitely just won the naming game.